Sea sponges are natural, durable, and safe for all insects. 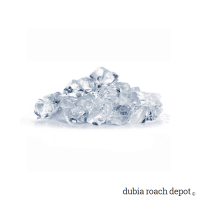 They can be cleaned and reused, and they contain no pesticides or other added chemicals. 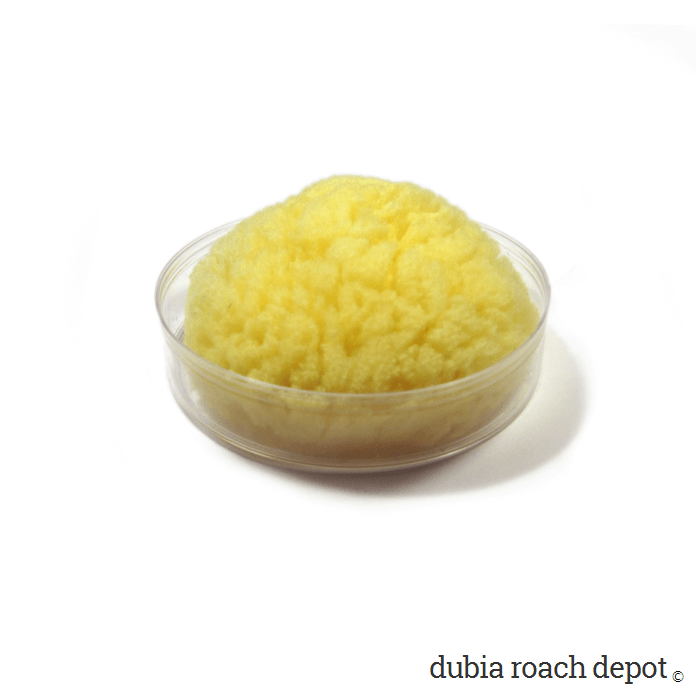 The Sea Sponge Water Dish is a great way to hydrate Dubia roaches and other insects. Sea Sponges are all-natural, chemical-free, rugged, and reusable. And, they’re safe for roaches and other insects. The Sea Sponge Water Dish has two parts: A plastic petri dish and a fitted natural sea sponge. They’re available in two sizes. “Small” (2-½ inches) and “large” (3-¼ inches). The larger size can handle more insects and allows more time between refills in larger colonies compared to the smaller one. Unlike the common kitchen sponge, sea sponges are all natural and therefore contain no added chemicals. On the other hand, kitchen sponges are often made with petrochemicals like polyurethane. They also commonly contain bactericides like Triclosan, which is a pesticide similar to chlorine. While Triclosan prevents nasty things from growing on them, it also kills insects, which is obviously something to avoid in this case! Regarding durability: Some of the sponge itself is consumed over time as roaches (or other insects) drink from it. The eating away takes a while, and sponges can be replaced. 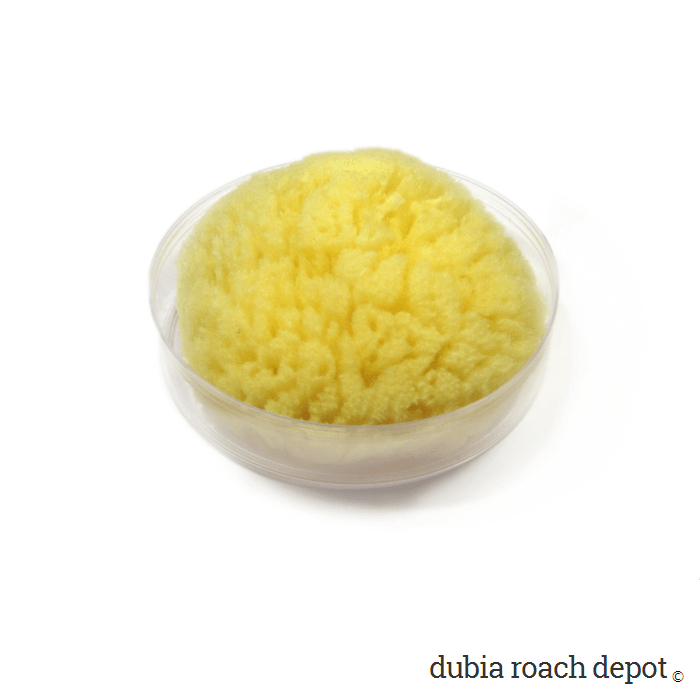 Importantly, consuming the sponge won’t hurt your roaches or the animals that eat them. In this respect, we can’t vouch for kitchen sponges. We’d guess they probably aren’t particularly healthy. Sea sponges have a few other advantages over supermarket sponges. They absorb more water. They retain water longer. And, they tend to be more durable. Have you ever seen a sea sponge that someone has used to wash their car for 10 years? On the other hand, household sponges tend to degrade and fall to pieces much faster. The Sea Sponge Water Dish can be used instead of water crystals. While polymer water crystals are consumable, sea sponges are relatively durable. They last a long time with regular cleaning. Caring for the Sea Sponge Watering Dish is easy and straightforward. Roaches crawl on the sponge and track frass when they do, so the sponge needs regular cleaning. When it looks dirty, remove it from the bin, shake off any roaches, rinse under hot water, clean the dish with soap and water, then refill and replace. You can dip the sponge in boiling water for a few seconds if you’re worried about germs. We’ve never had a problem with that, but it’s an option. Just be sure to avoid exposing the dish to boiling water, and don’t run it through the dishwasher. Unlike the sponge, it probably won’t survive. NOTE: The petri dish has smooth sides that may need to be scuffed to allow access, depending on what kind and size insects you have. It’s made of polycarbonate plastic, and 80-grit sandpaper, a scouring pad, or even a sharp knife work well. 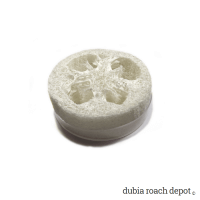 Adult Dubia roaches and large nymphs are probably OK with smooth plastic due to their size. However, small nymphs, cleaner crews, and other small insects will need to crawl up the sides for access. Take your sandpaper or scouring pad and work the outside of the dish until it’s scratched or opaque. It usually doesn’t take much. And be sure to take care with the dish. It can crack if you work it too hard! 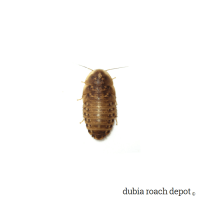 Dubia Roach Depot is the best website for Dubia roaches, hands down. If you’re here, fave it and count yourself lucky. I don’t shop anywhere else if I can help it and I’ve never been disappointed.